This is a section of a large mosaic. The mosaic appears to have been made from small pieces of colored stones, or tile. 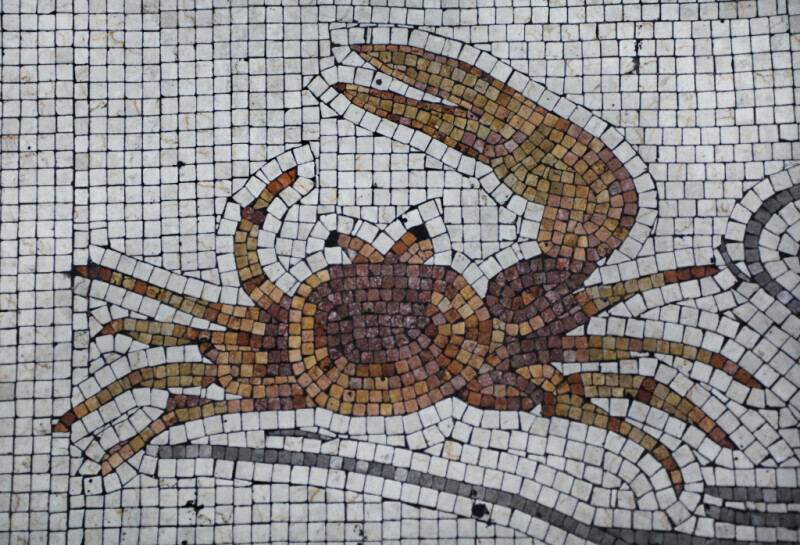 This section of the mosaic shows a crab, with one claw that is larger than the other. This is likely to be a fiddler crab.